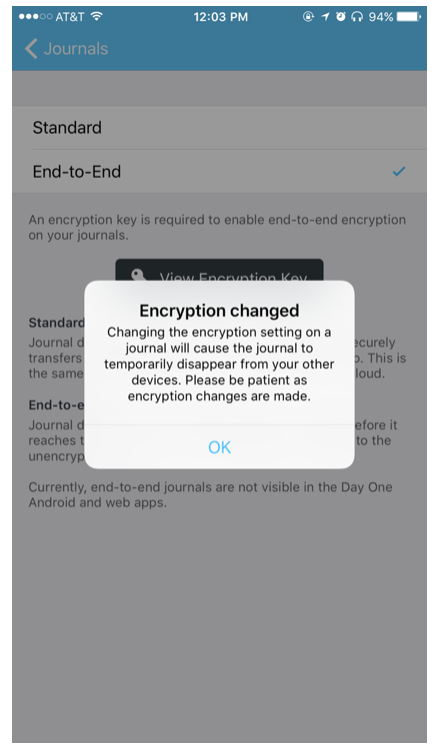 With end-to-end encryption from Day One, you can now keep your journals completely private and secure. End-to-end encryption utilizes a user-generated, private key to encrypt all your journal entries before they reach Day One servers. With possession of the encryption key held only by the you, the end user, you can be sure your journals are protected with maximum security. Open Settings > Journals. Select the journal you want to encrypt and open the encryption menu. When you are enabling encryption for the first time you will need to generate an encryption key. Make sure you save this key somewhere secure, as you will need it to access your encrypted journals later. You can also access it at any time if you are logged in by selecting "Show Encryption Key" in the Journals setting. Once you have saved or printed the encryption key, tap the "X" at the top right. Now you can switch the encryption method to "End-to-End". 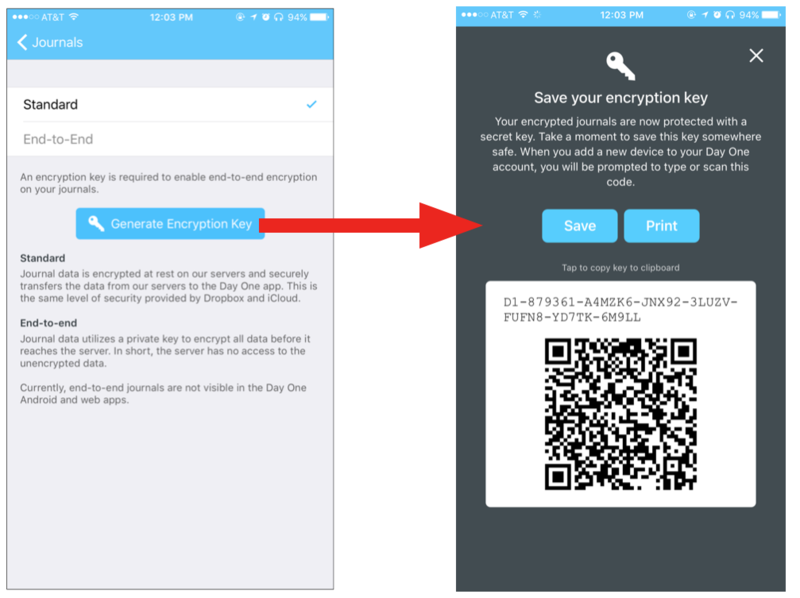 Tap Save at the top right and the journal will begin uploading encrypted data to the server. Please allow the sync process to complete before making changes on this or other devices. 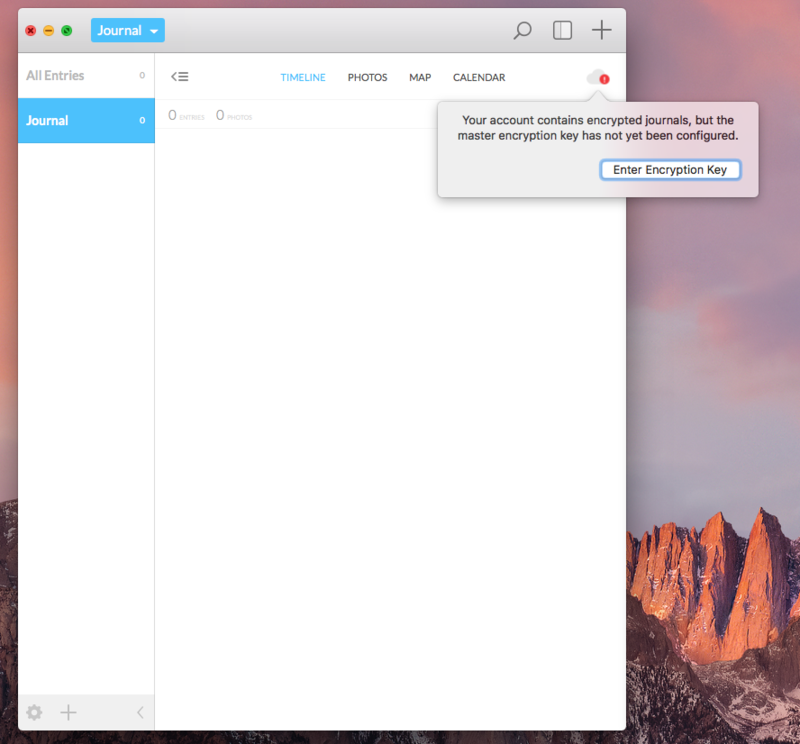 Enabling end-to-end encryption on the Mac is very similar. Open Preferences > Journals. If needed, generate an encryption key first. 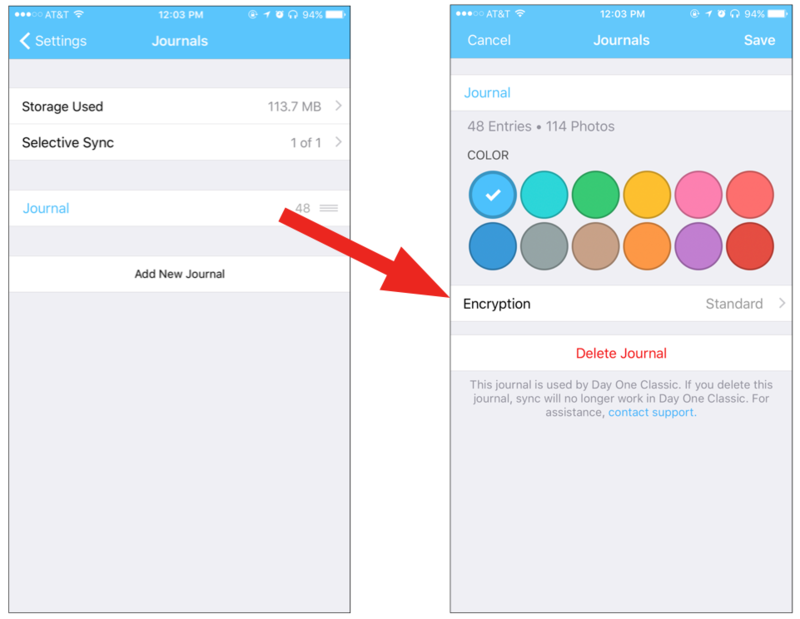 Then click the "i" icon next to the journal you wish to encrypt and change the encryption option. If you have already enabled encryption from iOS, you will be prompted on Day One Mac to input your encryption key. You can enter the key manually, use the on-screen scanner to scan the PDF you have saved, or use the front-facing camera on your Mac to scan the key from your iOS device.